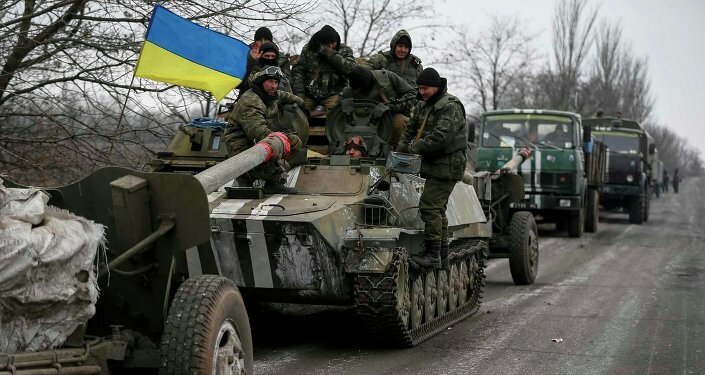 Gen. Philip Breedlove, NATO's Supreme Allied Commander, Europe (SACEUR), has announced that he cannot confirm the withdrawal of heavy weaponry from the line of contact between Kiev forces and independence fighters in southeastern Ukraine (Donbas). KIEV (Sputnik) – Breedlove said in an interview with the Ukrainian "1+1" TV channel that heavy artillery moving from both sides of the contact line can indeed be observed, but it is not known what happens to the weaponry after that, because observers from the Organization for Security and Co-operation in Europe (OSCE) do not have sufficient access to the area. According to NATO's top military commander, it could well be that the weaponry is returned to the previous locations afterward or could just be getting moved in preparation for future fighting. The pullout of heavy weapons is one of the key provisions of the ceasefire deal reached by Kiev and the Donbas self-proclaimed people's republics of Donetsk and Luhansk (DPR and LPR) in the Belarusian capital, Minsk, last month. The truce followed almost a year of fighting between the two sides and was the second one, with the first, failed, ceasefire agreement having been signed in September, 2014. 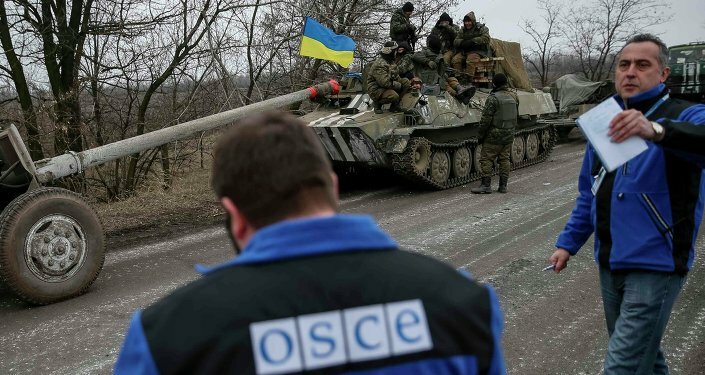 Last Wednesday, the OSCE Special Monitoring Mission (SMM) in Ukraine said it was unable to verify whether DPR and LPR have completed their heavy weaponry withdrawal. The monitors said this would require more comprehensive data sharing, including an inventory of weapons and the routes used for the withdrawal. The Kiev forces announced on Wednesday that they had begun the second stage of their weaponry pullback. Meanwhile, DPR and LPR stated that they completed the withdrawal from the line of contact on Sunday, March 1, meeting the deadline stipulated by the Minsk agreements.